This is the latest installment in the DC Universe Animated Original Movies line, and, compared to the other titles featured under that banner, it’s quite good. Parts of it are unsettling, and parts of it are just flat-out weird, but, overall, if all you’re looking for is a thumbs up or a thumbs down, I can say that this movie is a solid 75 minutes of superhero action and adventure, well worth the cost of a DVD. 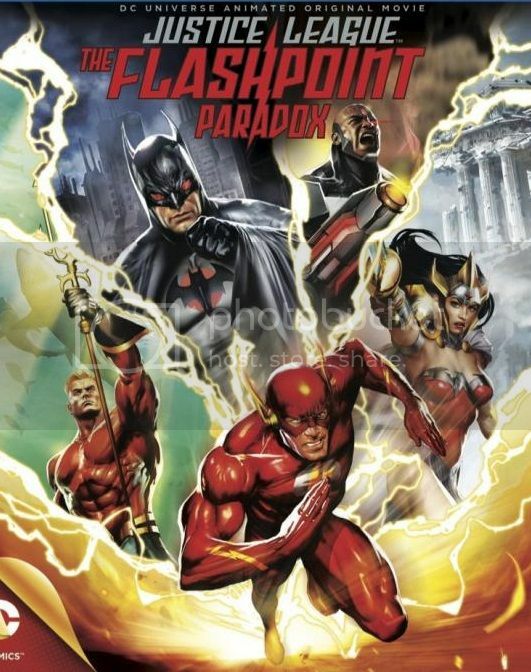 One thing that this movie continues is the trend of late, where DC’s focusing more and more on staying true to the source material from which it’s based; in this case, this is an incredibly faithful adaptation of “Flashpoint,” by Geoff Johns and Andy Kubert. If you remember, Flashpoint is the last major crossover in the Old 52. Its fallout led everything screaming into the New 52. 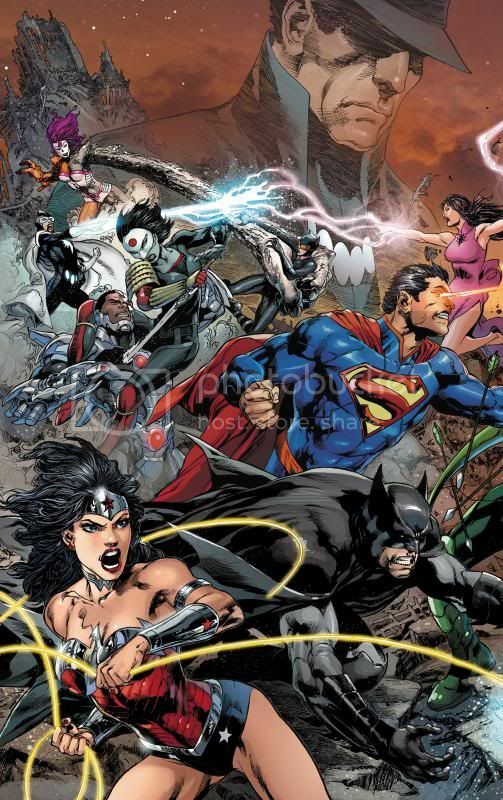 To say that it was a huge event for the DC Universe is fitting, as is the title of the series in describing its impact on the company’s overall direction for the past two years. … so join me and others demanding a sequel, including the publishers of “2000 A.D.” Because seriously, “Dredd” was amazing. It’s that time of week again! No, not Wednesday. Well, I mean, yes, it’s Wednesday, but that’s not what I was trying to get at. 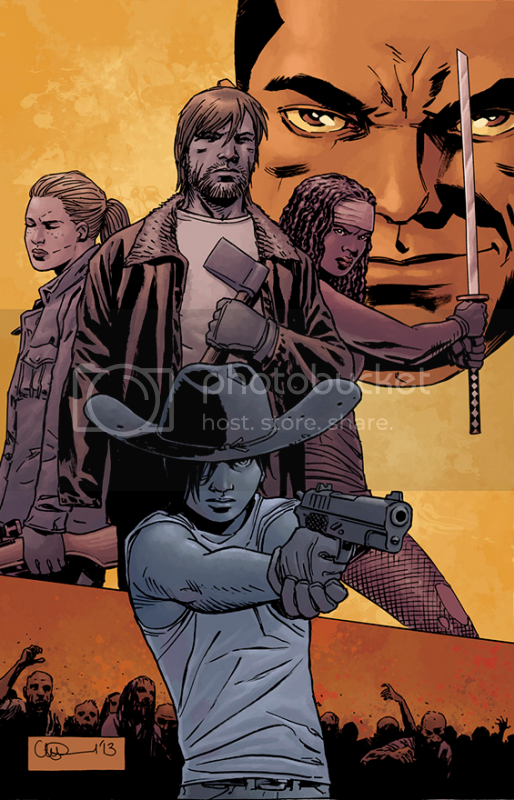 I mean I’m going to review some comics. From last Wednesday. At least I think they’re from last Wednesday. If I’m wrong, blame international date lines for the difference. Forget all that noise, let’s get this bad boy fired up! Top to bottom! Worst to First! The Trinity War is here. And it’s off to a bad start. Ok, so, in this issue, Billy Batson decides that Black Adam deserves to be properly buried in his home country of Kahndaq, which has some sort of No Fly Zone in place for superheroes, ever since Wonder Woman and Superman intervened there a few issues ago. Billy doesn’t know about this, though (just kidding), so he turns into Shazam (I think that’s what they’re calling Captain Marvel nowadays, anyway) and heads over to the country (because he’s a jerk), where some sort of international incident will play out upon his arrival (without a doubt). Here’s where this issue goes from stupid setup to stupid actual story. To sum up the issue so far: The superhero community will catch a lot of heat if a cape shows up in Kahndaq. Shazam is flying there as fast as he can. An international incident is imminent. So, what does our ingenious superhero team do to prevent this? They… fly to Kahndaq as fast as they can! What would Hollywood do without you? 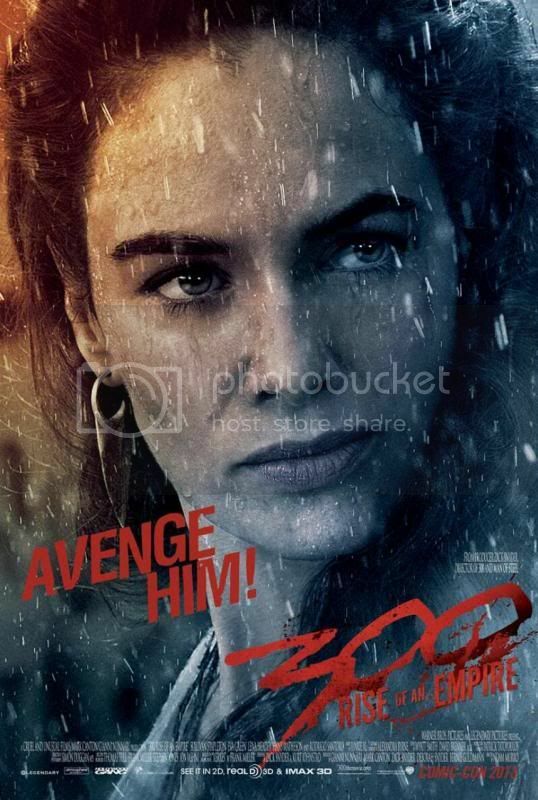 As is the case with nearly every major Hollywood release these days, 300: Rise of an Empire only has two colors in its palette: Blue and Orange. It’s one of those things where, once you see it, you can’t un-see it. You can’t just sit through a movie anymore without noticing it. So, up front, before we go any further, let me just say, if you haven’t noticed this before, if this is the first time this has been brought to your attention, I’m sorry. That’s entirely different than Rule #34 of the Internet, but I can’t really get into that here. But war is good for business, in a lot of ways. Especially in movies and television and, of course, comic books, war drives profits up with every appearance, practically, which is why comic books, in particular, always seem to be building toward the next big war. Not only is it good for business, it’s also, incidentally, a really easy storytelling gimmick to structure these books around. Once a year, we’re treated to at least one giant war per company, and this year will be no different. In DC, we’re being treated to the Trinity War, which pits the Justice League vs. Justice League of America vs. Justice League Dark. Welcome back to “Worst to First,” wherein I give short capsule reviews of each of the past week’s comics that I ended up buying, starting with the week’s worst issue and building up to what I consider to be the week’s best. If it’s not on the list, it’s because I don’t read it. If you think something’s missing from these reviews, by all means, point it out, and I’ll maybe start picking it up (unless you have terrible taste and recommend I start reading… I dunno, something like Deadpool or something). I mentioned recently that I’ve been catching up on all the comics I’ve missed out on these past few months, so it should go without saying that I’ve been reading a LOT of comics, including multiple series starring the X-Men. I read the first issue of this, truly for no good reason, and, by the time I got around to reading this issue, only a couple of days later, I had completely forgotten what happened in that first issue. Now, about two days after reading issue number two here, I can honestly say that I don’t remember what happened in this issue, either. Before you start thinking that I must just have a terrible memory, I assure you that’s not the case. 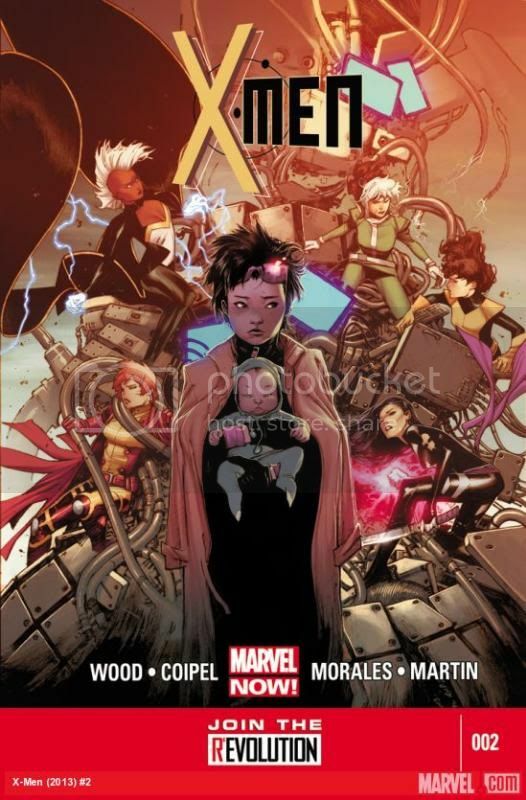 There’s something in this about Jubilee adopting a baby (or finding it, or giving birth to it, I really can’t say). And I’m pretty sure there’s a scene on a train. It’s just entirely forgettable and uninspired. If a series can’t engage me after two issues, I generally give up on it. So, good-bye, X-Men! I’m done with ya!